In 1971, the results of desegregation in the Ann Arbor Public Schools moved and stirred the soul of forty-year-old art teacher Carol Tice. Carol keenly observed the African American children coming from Jones Elementary School, and as she did, recognized that these newly bused in children would need a great deal of support. The desire to help them filled her thoughts and weighted her heart, yet she felt limited in her role as a teacher. She found herself wishing that her retired parents, who lived out of state, would come, nourish, and share their unconditional love and guidance with these children, just as they had with her when she was a child. Carol began thinking about the displaced elderly living in nursing homes. Elders who had spent an entire lifetime learning to do the things that they were best at were now put on a shelf. She found herself inquiring at the Whitehall Nursing Center to see if they would bus a group of elderly persons to her art class. They would and they did. Somehow Carol knew it would turn out all right. Carol instructed the elderly to bring with them only what they loved to do. There was to be no tutoring and no assignments for the children. Carol knew benefits would be bestowed to all the children. One elderly woman demonstrated the carding of wool while she spoke tenderly of raising sheep, sharing with the children the gifts the woolly animal imparts to all of us. A Native American elder brought forth from his culture the making of arrowheads. Some of the elders slept in wheelchairs, some drooled, but the children did not mind. Instead the children would compliment the grandpersons by telling them how soft their skin was and hugged them when they had to leave. Carol noticed elders who began arriving to class with combed hair and clean clothes. She noticed the children’s essence was changing, too, as a sense of common humanity began to bind the young and the old together in a most miraculous way. During the inception of her volunteer program, called Teaching-Learning Communities (T-LC), Carol reached out to Dr. Margaret Mead, a famous anthropologist, for guidance. Dr. Mead immediately recognized the magnitude of the greater good of Carol’s work and shared its importance at speaking engagements across America. Dr. Mead would sometimes speak metaphorically about Carol’s work to her audience by saying: “The old moon holds the new moon within.” Both Dr. Mead and Carol believed that the light of our elders embraces and shines wisdom on our young, in the infancy of their emotional, intellectual, and spiritual growth. Providence began to move. Carol’s intergenerational model spread into Ann Arbor’s 22 schools. This success led to Carol’s being appointed by President Jimmy Carter in 1979 to serve on the U.S. Commission of the International Year of the Child. This honorary appointment assisted in spreading the intergenerational programs across our fifty states. Two years ago the University of Michigan’s Bentley Historical Library on North Campus, which archives and documents the activities of people and voluntary associations in the State of Michigan, requested papers on Carol Tice and T-LC. There are ten boxes archived and shelved just waiting to be resurrected. The library also made materials available for download online, such as her interview with Dr. Mead when she visited Ann Arbor in 1976. Today I sit across from Carol in her living room. She is 83 now. She has a round cherub face. The iris of her eyes is pristine blue like a brand new morning sky. Her eyes reflect the clarity she carries within. She is dressed in a pretty turquoise blouse and wears turquoise rings in honor of our Native American people whom she loves. I have a million questions to ask her but I have to settle for the following. “I co-invented Peer Power Project with an African American social worker who had grown up in the African community, for a Chicago middle school. We worked with teenage girls whose mothers or sisters were 14 when they became pregnant. We worked with prevention. There was not a single pregnancy for three years. The girls I worked with would be seen drawing blood in gang fights at noon, then dramatically change and turn into children their own age when the elders from the community center were brought in. The girls were gentle with the frail elderly and kind, very kind. 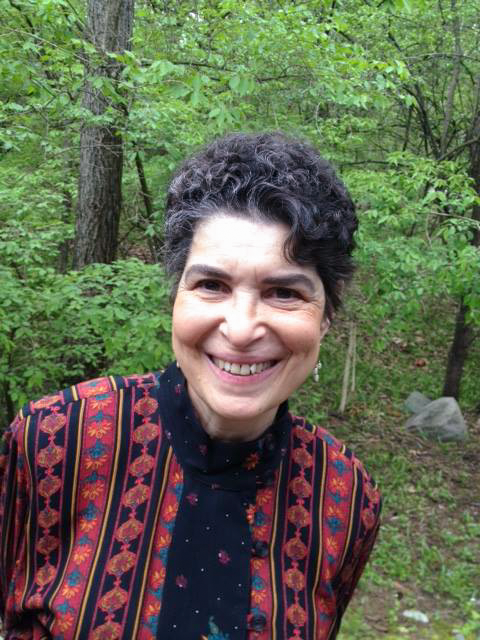 Interviewer Karen Jones is an occupational therapist, writer, and keen observer and lover of the holiness of nature. She has a strong admiration for powerful women enacting social change. Her email address is joneskg05@yahoo.com. Carol Tice can be contacted at chtice@aol.com. Posted on December 31, 2015 by Karen Jones and tagged Winter 2016 Calendar Essay Mindfulness.